This was an outtake from a wedding a few years ago. 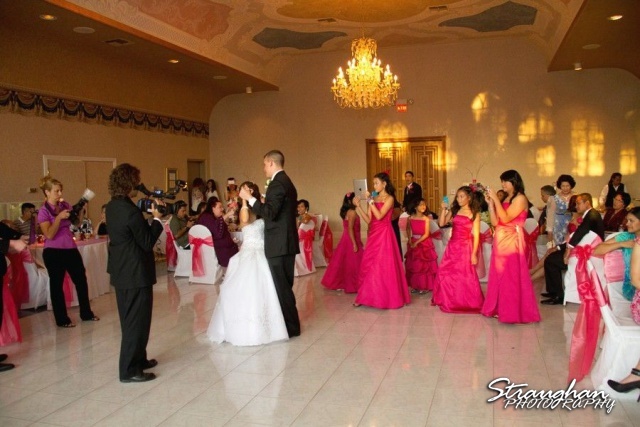 It was a battle of cell phones, iPads, and video cameras for first dance photo. I just stepped back for a moment to take a wide shot. “Just a quick photo on my phone” can ruin a perfect moment. I did ultimately crop in on the little girl and I made the cell phone photo work for me. I moved over a bit to get bride and dad without him in the photo. “Guests, I honestly don’t care what you do. However, keep in mind that I also did not invite you to the wedding. It was the bride and groom who asked you to share their most intimate moment with them. By bringing a camera and using it, you are not only excluding yourself from THE moment in the hopes that you’ll take one good picture, but you create an emotional void where you (as a friend or relative) should have been as part of the wedding. You are absent from the very mission that was trusted on you: to be part of the collective celebration of the love of two people. If that’s OK with you, it certainly is OK with me – but maybe it’s not that OK with the bride and groom. Think about it. My priority is capturing your day for you. 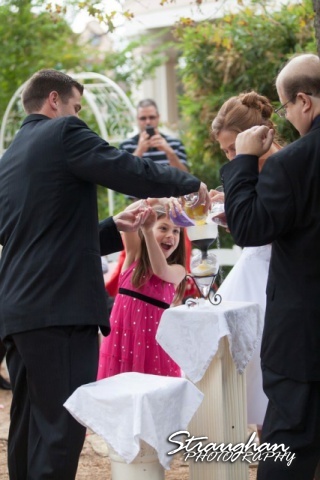 Your guests priority should be to enjoy the day. I don’t think people realize what they are doing, they want to capture the moment too. In the end it is the couples decision to ask people to unplug and if you don’t care then it won’t bother me. I just wanted to put it out there. The images I produce will reflect all that you put into your wedding, the moment and the emotions either way.